Is the Pass a Reputable Product? The London Pass offers free admission to more than 60 attractions at places of interest, historic buildings, museums and galleries, as well as tours, cruises and walks. It's possible to save money on admissions with London Pass, but the product also offers the advantages of convenience and time management to buyers. The best approach to a buying decision for London Pass is to make a realistic list of things to see and do, followed by consideration of whether or not the pass will save money and time. The London Pass is available in one-, two-, three- or six-day versions. A chip inside the card records your first use and then cuts off eligibility at the appropriate time. Note that these are calendar days, not 24-hour periods. Start early in the day to get the best time advantage. At first glance, the pass prices seem quite expensive, and prices for the passes have risen steadily in recent years. Remember, however, that they reflect the high prices for admissions to London attractions. For three-day passes the cost is £95 ($137) for adults and £66 ($95) for children. The six-day passes are £129 ($186) for adults and £89 ($129) for children. For purposes of purchase, children are defined as travelers between the ages of 5 to 15. (Note: Currency conversions were accurate at the time this story was written, but are subject to frequent fluctuations. These are the everyday prices, but it is often possible online to get discounted rates. There are limits on how much you can do in a day, but you're unlikely to reach these points. For example, the admission fees you skip on an adult one-day pass must total less than £90, £180 for a two-day pass, £270 for a three-day pass and £540 on a six-day pass. You may also purchase the London Pass with Travel for an additional £13/day on an adult one-day pass, £6/day or less for children. This provides unlimited travel on The Tube, other overland trains (zones 1 to 6) and buses. If you determine this is a good buy, you must make the purchase prior to arrival in London. Note that a one-day transit passes in London all cost less than £13 when purchased directly from the Underground windows and machines. Each London Pass comes with a compact but detailed guidebook with descriptions of each covered attraction, a fold-out Tube system map, and a section of discount offers at London businesses. Delivery can be made in London at the redemption desk on Charing Cross Road (near the Leicester Square tube station) or via Federal Express to your home address. The only free method is pick-up in London. Shipping costs vary by service chosen. Unless you have many weeks remaining until your trip, a London pick-up is recommended. The London Pass promotional literature will wow you with the claim that passes are accepted at more than 60 area attractions. But you must determine which—if any—of these attractions are on your to-do list in London. There are very few major attractions in London that aren't covered. One notable exception is the London Eye. The Tower of London is among the most important attractions in the city. The cost of admission for adults at this writing is £25 ($36). If you've never been to the Tower of London, you could benefit from buying at least a one-day pass. If you combine it with nearby attractions such as the Tower Bridge Exhibition (£9), a Thames River Cruise (£19) and maybe a visit to St. Paul's Cathedral (£18), you could realize significant cost savings for your very full day of London sightseeing. But if this isn't your first trip to London, perhaps you've already seen these attractions. Let's say you want to visit maybe one expensive attraction and then hang out in the British Museum, which does not charge admission fees. On that itinerary, a London Pass might not work to your financial advantage. So it's crucial to have an itinerary at least partially set before considering a London Pass purchase. London Pass tends to work best for first-time visitors who have long lists of things they want to see in the city. The savings will add up with the number of travelers in the family. 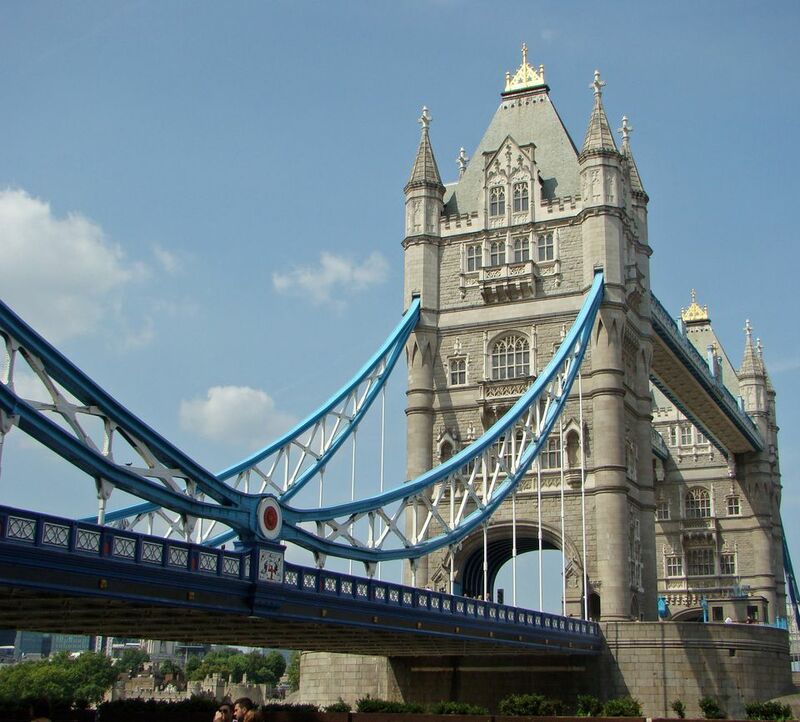 But the London Pass can also be valuable for experienced travelers who have already seen the major sites. Among the 60 covered attractions are places such as HMS Belfast, which is not necessarily the top London attraction on most traveler lists but requires a £16 ($23 USD) entry fee. In a day, you could visit three or four attractions that charge £8 to £13 for admission and not save a great deal of money with London Pass. But it's also important to consider time saved in ticket lines. You can skip to the front of these lines at Tower of London, St. Paul's Cathedral, Hampton Court Palace, Windsor Castle, London Bridge Experience, ZSL London Zoo, Kensington Palace and The Orangery. If any of these attractions is on your itinerary, consider the value added to your overall visit by skipping long lines. This is even more crucial if you'll have young children in your party. Notice that Westminster Abbey, which frequently hosts long visitor lines, is not included on the line-skipping list. The London Pass should be accepted by people issuing tickets without question. This ready acceptance is significant when considering a pass purchase of any kind. With some passes and discount cards, you'll encounter raised eyebrows and questions before acceptance. This can be embarrassing and sometimes results in delays. But London Pass can be purchased with confidence, knowing it is commonly used and accepted. The app provides directions, maps and a summary of operation times for the attractions. It's a good idea to download the app before you leave home. It can be used without an Internet connection to make decisions as you travel. For travelers on a shoestring budget, the London Pass probably isn't a good choice. The variety of free London attractions and the relatively inexpensive transportation options (day passes on the Tube generally cost less than $15) can allow for quality sightseeing without high prices. It's also possible to buy one major entrance fee a day, add in some free attractions, and spend far less money than a London Pass purchase requires. Budget travelers who look at the London Pass strictly as a means for saving big money on attractions might be somewhat disappointed. Unless you have a very ambitious itinerary (three or four attractions per day), the pass is unlikely to provide significant savings. For fairly serious sightseers, the London Pass offers significant value. If you want to visit 10 major attractions in two or three days, London Pass will save money and time. For those who add up the admission fees and find it's basically a wash, consider this: circumstances change quickly when traveling, and your detailed itinerary often flies out the window if weather or other issues force changes to your plans. With London Pass, you can roll with those changes quite easily, knowing that you are covered for visits to most of the city's major attractions. Buy it directly from the London Pass website.